The Mirage OMD-28 is a tower speaker that uses sophisticated driver technology, Mirage's exclusive OMNIPOLAR technology, and elegant cabinet design to make the speaker ideal for the listener who has floor space for a full-range tower speaker. 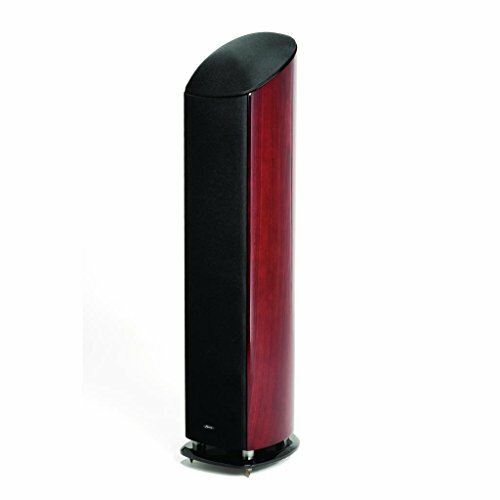 Applications: The OMD-28 is a versatile tower speaker because it is full-range and can be used as a front main or surround speaker. You can use this speaker to help create a complete home theater speaker system or a dedicated 2-channel stereo setup. Voice Matching: This speaker can be matched up with Mirage's OMD-C1 or OMD-C2 center channel, Mirage's OMD-15 floor standing speakers, Mirage's OMD-5 bookshelf/satellite speakers, and Mirage's OMD-R rear surround speakers to create a home theater speaker system. OMNIPOLAR Technology: This technology radiates sound in a perfectly spherical dispersion pattern, expanding the sweet spot to encompass virtually the entire room. OMNIPOLAR technology uses natural room reflections to create a greater sense of realism. Tweeter: Floating above the midbass is a precisely angled cast aluminum OMNIGUIDE module that houses the speaker's proprietary 1.1" titanium dome tweeter. If you have any questions about this product by Mirage, contact us by completing and submitting the form below. If you are looking for a specif part number, please include it with your message.